Below are the results from the Dignity Health Sports Park (formerly StubHub Center) in Carson, California Saturday night (Sunday morning in Manila) headlined by Gervonta Davis vs Hugo Ruiz promoted by Premiere Boxing Champions, TGB Promotions and Sampson Boxing. 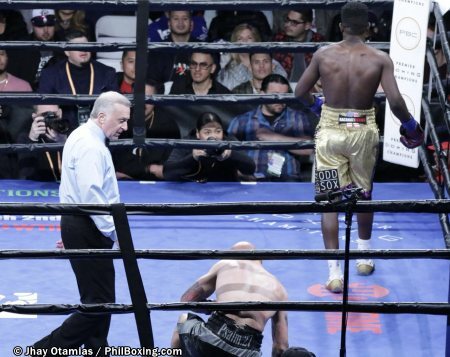 Erickson Lubin drops Ishe Smith. Juan Heraldez vs Eddie Ramirez. Knight and Torroba ended in a no-contest. In a flyweight bout, Ava Knight (17-2-4, 5 KOs) and Luna del Mar Torroba (12-9-2, 2 KOs) was declared a no-contest after Knight suffered a cut on her left eye from a headbutt in round three and could no longer continue. 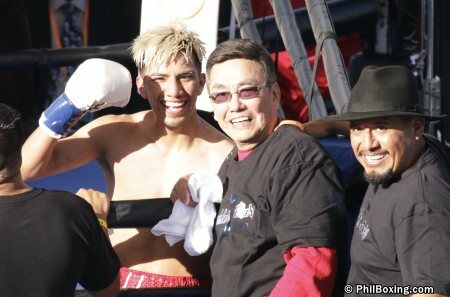 Santa Maria, California's Jose Balderas (6-0-0, 1KO) scored his first KO win in the curtain raiser of the Gervonta Davis vs Hugo Ruiz fight card at the Dignity Health Center. 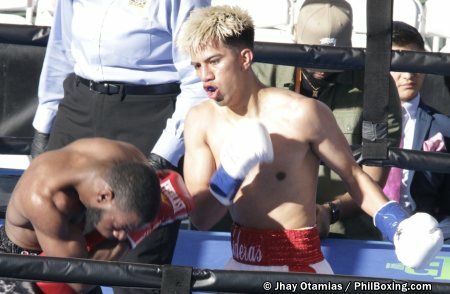 Balderas started quick and was hell bent to score his first professional knockout win. 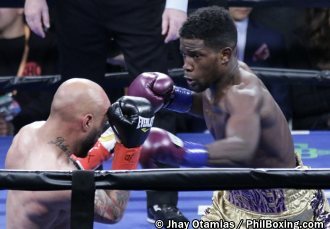 In the second round, he connected with a looping right hand that landed on the face of Jerrod Miner (1-4-2, 1KO) drawing blood from the nose of the slugger from Philadelphia. The third round was not much different. 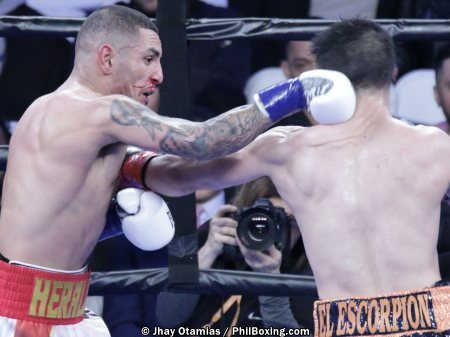 Balderas was chasing Miner from pillar to post hitting him almost at will with his signature right cross drawing more blood from Miner. Before the fourth round started, Miner's corner called off the fight saving their boxer from further damage.